14k gold custom made bridal set ring consisting of princess shape, natural diamond, weighing 1.34 carats, having a I color and VS1 clarity, according to GIA grading scale. 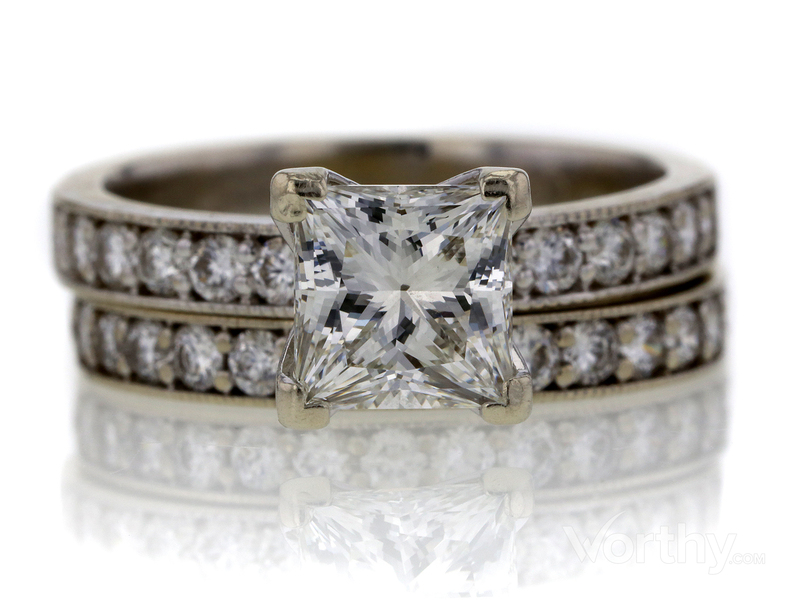 The center stone measuring 6.14mm x 5.99mm x 4.32mm and carries a GIA grading report, No. : 6177504227. All surrounding diamonds are genuine with a total carat weight (cttw) of 0.60 carats. https://myapps.gia.edu/ReportCheckPortal/getReportData.do?&reportno=6177504227&weight=1.34 This diamond is GIA graded and results are reflected in the details above. Copy and paste the link into your browser to view report.